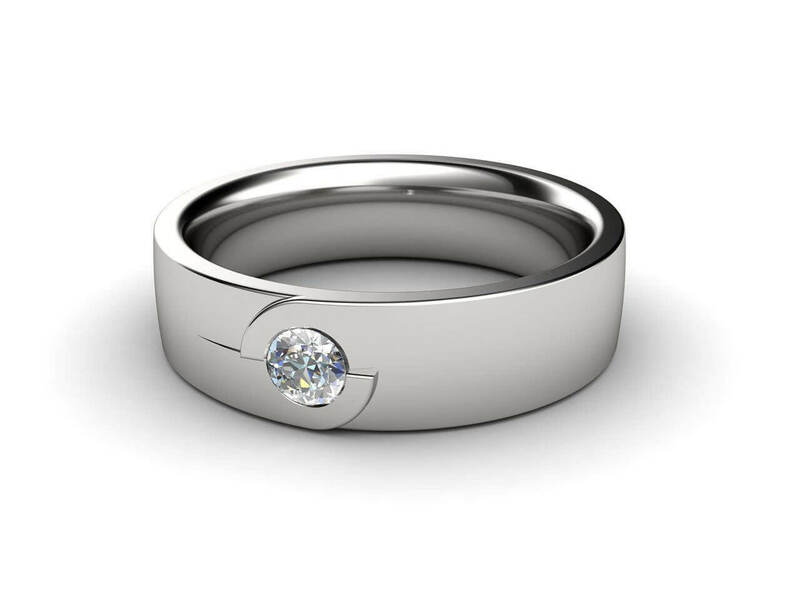 An original Joseph George men’s white gold diamond wedding band. This creation this is remarkable band with elegant beauty. One round brilliant cut diamond is the centre of this solid wedding ring. The smooth and clean line draw the eye straight to the diamond. 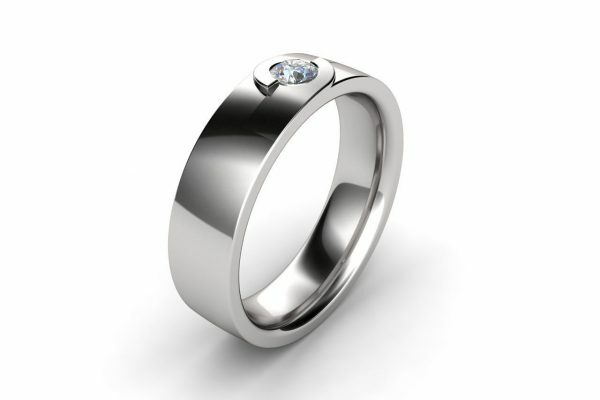 It can also be made in 18k yellow gold, rose gold or platinum.